Ready for another look at DNSSEC? Since the dawn of DNS, it has been a system regularly experiencing phases of increased vulnerability. Yet never before has it been as vulnerable to the escalating size of DNS attacks as in recent years, most notably in 2016. Advice on how to prevent, or at least mitigate, all manner of attacks on DNS proliferates, and every security vendor and his uncle promises heaven and earth, if only you bought into their solutions. While you should investigate all options and carefully devise a wholescale security strategy, together with overhauling your network’s architecture design to close unnecessary gaps and eliminate weak links, it is critical that you don’t leave one of the most obvious DNS security stones unturned – DNSSEC. After Dyn went down so spectacularly last October during the biggest DDoS attack recorded to date, Geoff Huston gave an excellent talk at RIPE 73, speculating on possible ways to mitigate DNS attacks. In the process, he also managed to remind the audience that one of the ways to make DNS (and conversely, the internet) safer would be to fully implement DNSSEC. Fully deployed, DNSSEC ensures that the end user is connecting to the intended, and verified, website or service corresponding to a specific domain name. In this way, DNSSEC protects the directory lookup and complements other security technologies, such as TLS (https:). DNSSEC is not a magic bullet and won’t solve all internet security issues, but in a world of constantly multiplying mutations of attacks on DNS availability, it sure can’t hurt to add it to your DNS security repertoire. That said, DNSSEC would be a much happier prospect for most of us if it were not so tedious to set up. Still, like all things worthwhile, a little bit of initial effort can take you a long way. To help you get a grip on the ins and outs of DNSSEC, Men & Mice’s DNS expert Carsten Strotmann recently added a DNSSEC zone signing tutorial to our useful selection of DNSSEC resources, all bound to help you take steps towards DNSSEC with greater confidence. The DNSSEC zone signing tutorial follows on from Carsten’s highly rated November 2016 webinar on DNS and DNSSEC monitoring – Strategy and Tools. An added bonus is the scripts of 15 essential DNS and DNSSEC monitoring tests which can come in pretty handy once you’ve set the DNSSEC wheels in motion. provide DNS servers with knowledge on how the structure of the internet works so DNS queries will have a straighter and narrower path, only asking for the data that is really required and not having to put in full requests that have to go all the way to the root name servers. encrypt communication between the DNS resolver (usually on the internet provider’s network) and authoritative servers on the internet so that data transmitted can’t be harvested by ill-intentioned entities. 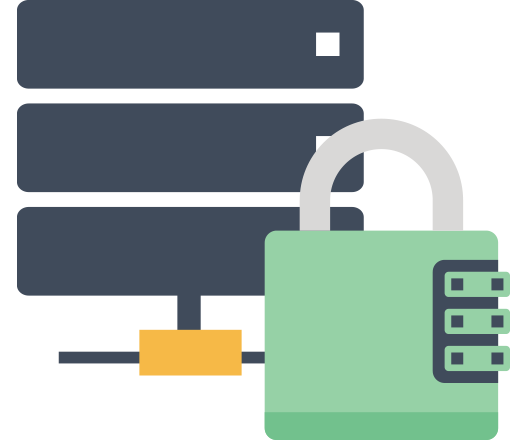 One of the side benefits of this type of encryption is that the underlying transport protocol will likely switch from UDP to TCP, thereby providing the ‘handshake’ required for secure communication and making spoofing so resource intensive that it will take the easy fun out of the kind of DoS attacks we’ve seen escalating in recent years. With all new and generic top level domains, as well as country code top level domains DNSSEC signed today, the implementation of DNSSEC to make the internet more robust and secure is quickly turning into the rule, rather than the exception. Which begs the question: why wait till tomorrow when you can begin implementing DNSSEC on your domain today?